It’s no good guessing about what your stakeholders want. You must talk to them, get to know them and their needs, and put yourself in their shoes to understand their concerns. If you don’t know the concerns of your stakeholders, then EA will be difficult, and probably unsuccessful. 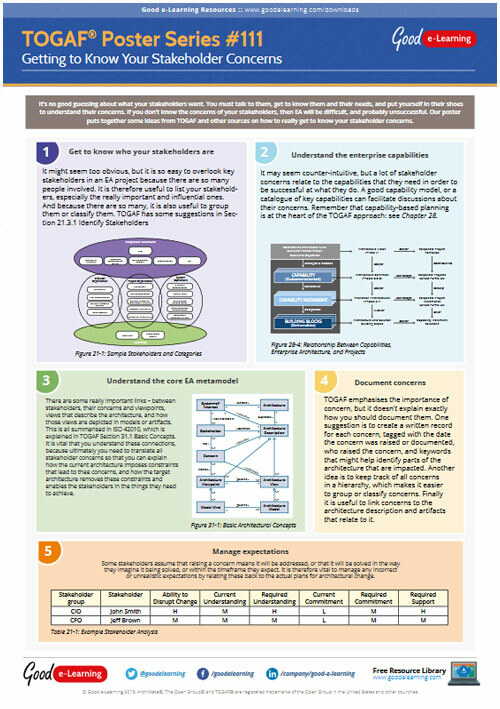 Our poster puts together some ideas from TOGAF and other sources on how to really get to know your stakeholder concerns.